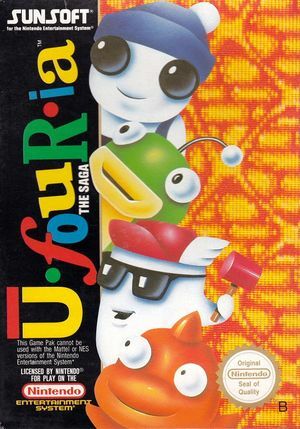 In Ufouria: The Saga (へべれけ) Bop-Louie and his friends live in a world named Ufouria, The characters stumble upon a crater, in which his friends fall in. Bop-Louie climbs in, but suddenly blanks out. He finds out that he must find all three of his other friends, all of which suffer from amnesia and take on Bop-Louie as a threat. Each time Bop-Louie locates one of his friends, you must battle them in an attempt to help them regain their memory. Once all four are back together the game revolves around collecting keys to open a gate, Unyo The alien will then battle you to the death with a giant hovering robot, that looks like him, connected to him. The graph below charts the compatibility with Ufouria: The Saga since Dolphin's 2.0 release, listing revisions only where a compatibility change occurred. This page was last edited on 6 January 2018, at 11:58.